We take a closer look at hypnosis and meditation, exploring the similarities and differences between the two. 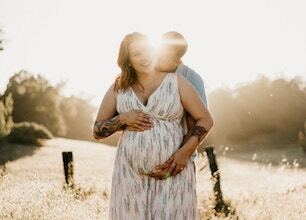 There can be some confusion about what hypnosis and meditation are, particularly around whether there is any difference between the two disciplines – or whether they are names that can be used interchangeably, for the same thing. We’ll explore their similarities as well as their differences, to help clear the matter up. Both hypnosis and meditation can induce deeply relaxing states of mind that can help promote calmness of mind and reduce levels of stress. They both require a certain kind of focus of mind, too – often (but not always) purposefully directed. Both can also use specific suggestions and words in order to induce a trance-like state. Ultimately, asking what the difference is between hypnosis and meditation is a little like asking what the difference is between alcohol and wine. 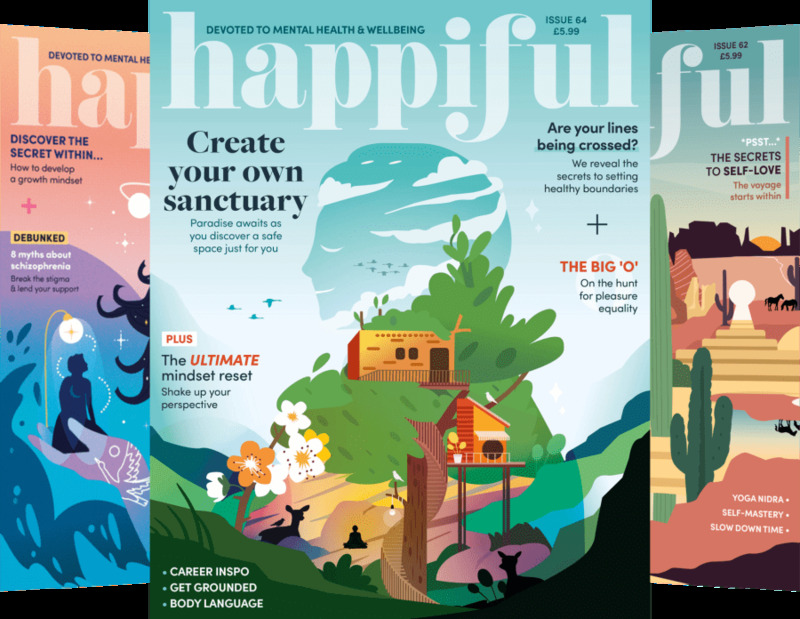 In some ways, meditation can be seen as a very specific, specialised use of a type of hypnotic state – often as part of a wider spiritual system. 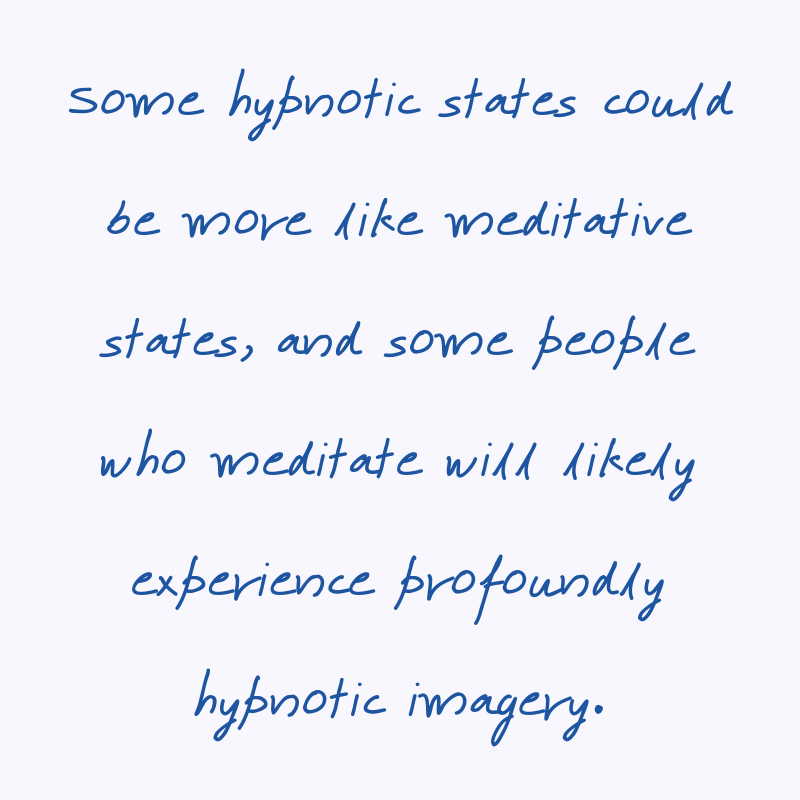 Some hypnotic states could be more like meditative states, and some people who meditate will likely experience profoundly hypnotic imagery sometimes. As we see, there are a lot of similarities between hypnosis and guided meditation, however, one of the major differences is that hypnosis is usually used to help people detach from destructive emotions and calmly begin to see wider and happier possibilities. We see this in all of the topics listed in our hypnotherapy areas section. For instance, if you wish to stop smoking, you can utilise the power of positive suggestion within hypnosis to bring about subconscious change to the way you think and feel about the act of smoking. This, in turn, can help to change your behaviour. In order to do this, it requires the participant to enter a type of hypnotic state of focused attention, allowing the suggestions to enter the subconscious mind. The emphasis is more on how good the hypnotist is at inducing this trance-like state. 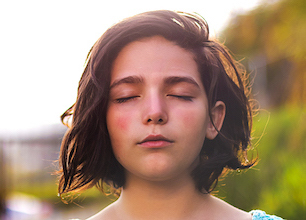 Guided meditation, on the other hand, is about using the power of your own imagination to plant the images in your subconscious mind in order to bring about change – with the mere gentle guidance of a narrator. Another fundamental difference between the two is that the underlying philosophy of mindfulness aims to dissuade meditators from being goal-focused. In contrast, self-hypnosis is an overtly goal-oriented process. We use very particular forms of imagery, self-suggestion and cognitive processes in order to create and effect change to overcome challenges and issues and to advance abilities. Hypnosis used therapeutically will often focus on helping someone relax around memories of the past or prepare to feel better and act differently in the future. Meditation, on the other hand, is often an attempt to be absolutely in the present. However, many people in hypnosis will often report feeling totally focussed “in the now”. So, if you find this to be the case yourself, do not worry. Another important point to remember is that hypnosis isn’t only a ‘state of relaxation’. Emotion is hypnotic – we are often at our most focussed when we experience heightened emotions. For example, anger, which focuses our attention and makes us suggestible. It’s because our emotions are so hypnotic, that we can be so amenable to hypnotic treatment. Anyone who can make you more emotional also has the ability to make you more suggestible. In this way, we can see that counsellors and therapists utilise some elements of hypnosis in their own practice. For example, if a counsellor asks you to direct your attention to a recent break-up or the pain of your childhood, they are encouraging disassociation from the here and now (which can be a feature of hypnotic trance). If you’re keen to harness the power of hypnosis and practise at home, take a look at our guide to self-hypnosis.